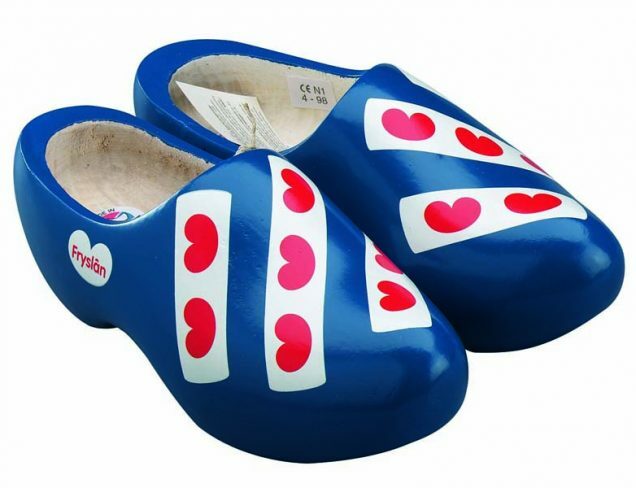 Beautiful red wooden shoes with a colourful decoration with tulips. 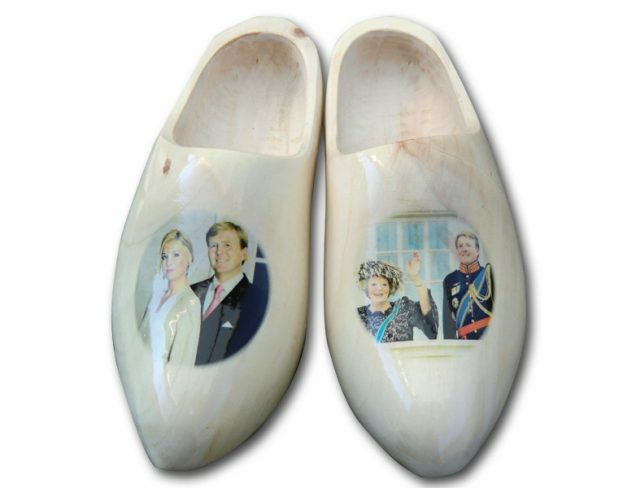 Available in a lot of different sizes. 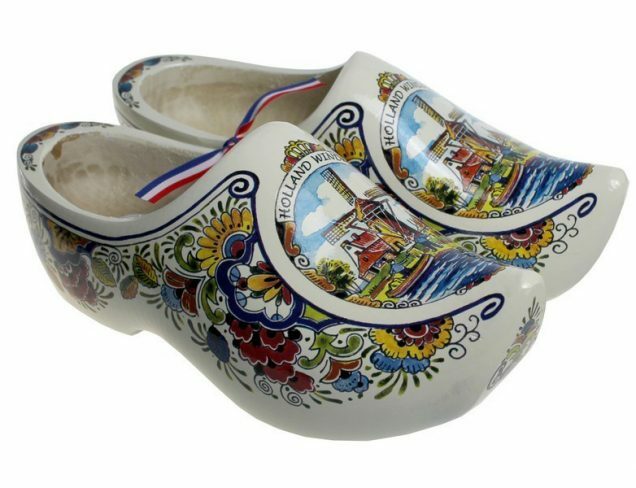 About wooden shoes: many people in Holland have a worn out clog somewhere on the wall with a geranium planted in it. 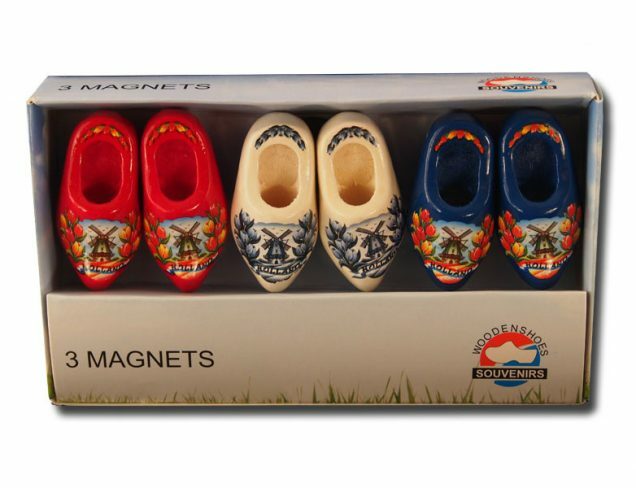 Since I was a little girl I always wished I was born in the Netherlands as the colorful wooden shoes looked so beautiful. I love shoes that are different. 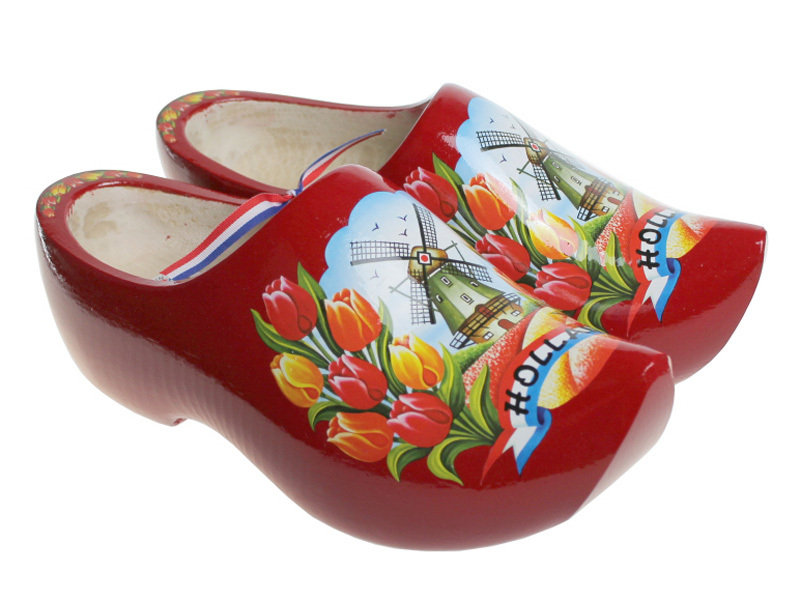 Today I am in my 50’s and I am still dreaming about having bright red clogs. To me it is even more beautiful and magical than Dorothy’s Ruby Slippers. 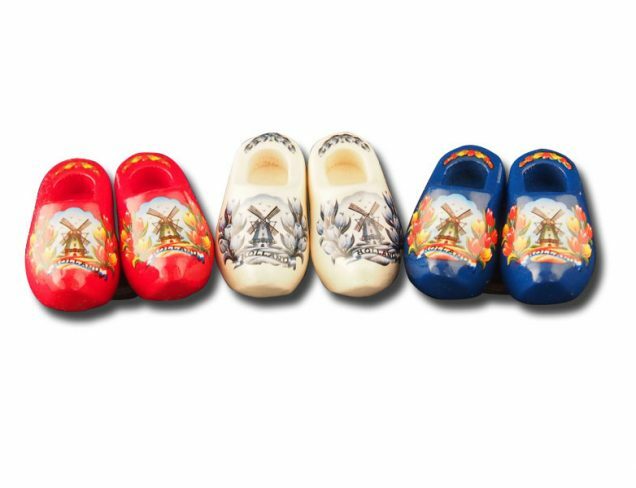 Just looking at all the pictures of your clogs put me in a dreamworld of my own. They are magical and beautiful! !